Squeeze the trigger to open the bristles and place over the spider. 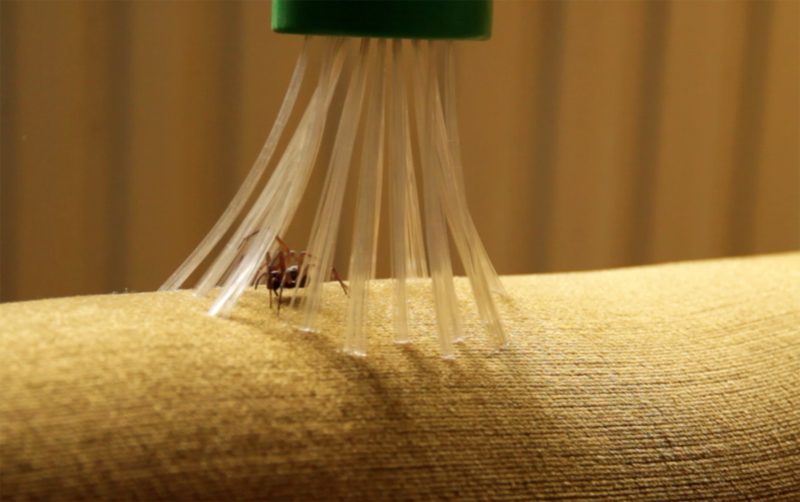 Release the trigger to close the bristles around the spider without harming it. 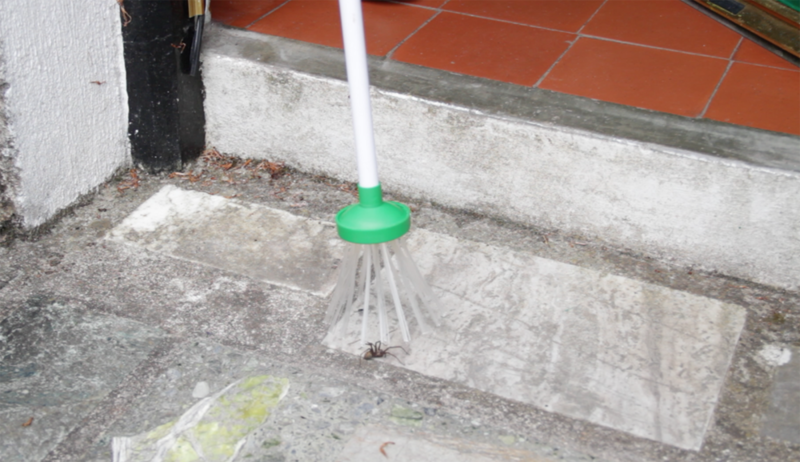 Place the spider back into the outdoors where it belongs!